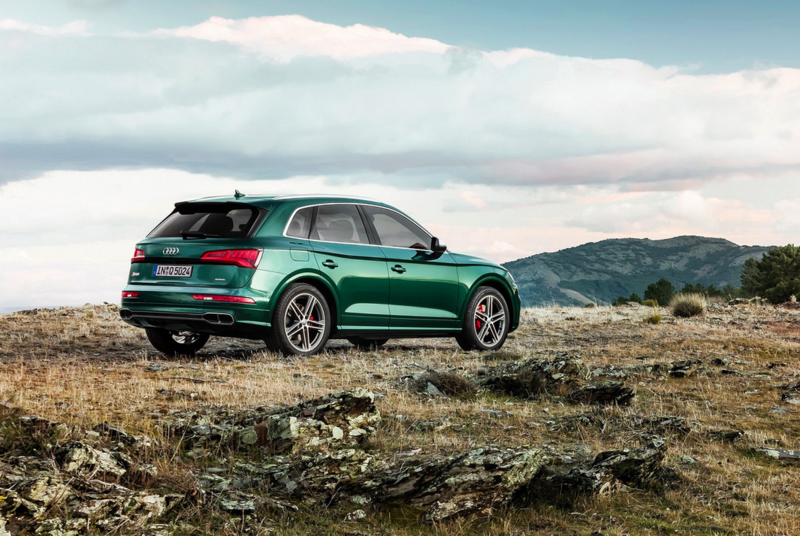 Audi has announced the pricing for the new Audi SQ5 TDI. The premium SUV has a powerful V6 engine under the bonnet, just like its first-generation predecessor. An electric powered compressor ensures that maximum torque is available to the sporty SUV with a mild hybrid system further enhancing efficiency. Pricing starts from €89,820 OTR. Audi has systematically refined the drive concept from the full-size SQ7 TDI for the new SQ5 TDI. The V6 diesel accelerates the sports SUV to motorway speed in 5.1 seconds on its way to an electrically limited top speed of 250 km/h. The 48-volt main electrical system includes an electric powered compressor (EPC) and a mild hybrid system. Energy is stored in a compact lithium-ion battery with an electrical capacity of 10 Ah located beneath the luggage compartment floor. An AC/DC converter connects the conventional 12-volt electrical system. The EPC assists whenever the exhaust gas flow is unable to provide enough energy to drive the turbocharger. High torque is also available immediately with no turbo lag whenever the driver requires. The early and rapid torque development, made possible by the technology keeps revs and fuel consumption low. 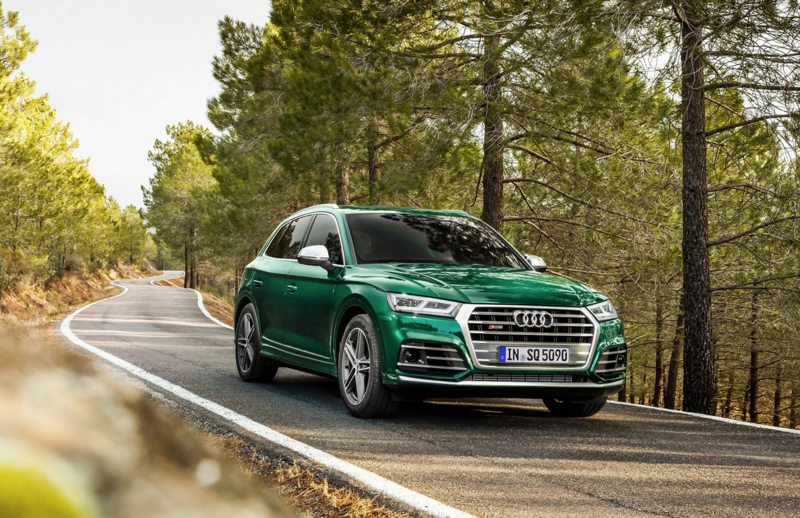 The MHEV system (mild hybrid electric vehicle) in the new Audi SQ5 TDI can reduce real-world fuel consumption by as much as 0.7 litres per 100 kilometres. At its core is a belt alternator-starter (BAS) connected to the crankshaft. During deceleration, it can recuperate up to 12 kW of energy. This electrical energy is stored in the lithium-ion battery, from where it is dynamically distributed to the consumers in the electrical system. A fast and smooth-shifting eight-speed tiptronic handles the power transmission. Its lower gears feature sporty ratios, while the upper gears are long to reduce revs and fuel consumption. New detailed solutions enable the tiptronic to work effectively with MHEV technology. Like every S model from Audi, the new SQ5 TDI comes standard with quattro permanent all-wheel drive. In normal driving conditions, its self-locking center differential distributes torque between the front and rear axle in a 40:60 ratio. When slip is detected, the majority of the power is directed to the axle with the better traction. Depending on the situation, a maximum of 70 percent can flow to the front or 85 percent to the rear. Sophisticated five-link suspension at the front and rear lays the foundation for the sporty characteristics of the new Audi SQ5 TDI. Audi also offers optional dynamic steering, which uses strain wave gearing to vary the steering ratio over a very wide range as a function of speed and steering angle. The suspension with damper control comes standard in the new SQ5 TDI. It lowers the body by 1.2 inches compared with the Q5 with standard suspension. The new Audi SQ5 TDI offers a broad portfolio of driver assistance systems. The predictive efficiency assistant provides specific tips to help the driver save fuel while Audi active lane assist makes it easier to stay in your lane and handle some of the steering task in slow-moving traffic. The distance warning display alerts the driver when the distance to the vehicle ahead drops below a safe distance. The MMI control concept in the Audi SQ5 TDI is easy to understand and features an intelligent free text search function. The natural-language voice control function also recognises inputs from everyday speech. The third control level is the leather multifunction steering wheel, which is used to operate the driver information system or the optional Audi virtual cockpit. Numerous exterior design details hint at the sporty character of the Audi SQ5 TDI. The Singleframe grille features double aluminum slats and contrasting trim elements in twilight gray matt. The headlights and rear lights of the Audi SQ5 TDI come standard in LED technology; the dynamic turn signals at the front and rear send unmistakable signals. The exterior colour panther black is reserved exclusively for the Audi SQ5 TDI. The dark-toned interior welcomes the driver and passengers with illuminated door sills bearing exclusive S logos. Contrasting stitching on the leather steering wheel and sport seats conveys a dynamic and elegant ambiance. Brushed aluminum inlays are standard, with elegant wood applications or an exclusive carbon inlay available as options. The luggage compartment has a basic capacity of 550 litres which can be increased to 1,550 litres by folding down the rear seat backrests.